Local artists will be running craft workshops on Saturday 1st December where you’ll be able to create unique cards, gifts and decorations! Each workshop will last approximately 40 minutes and cost between £5-£8. 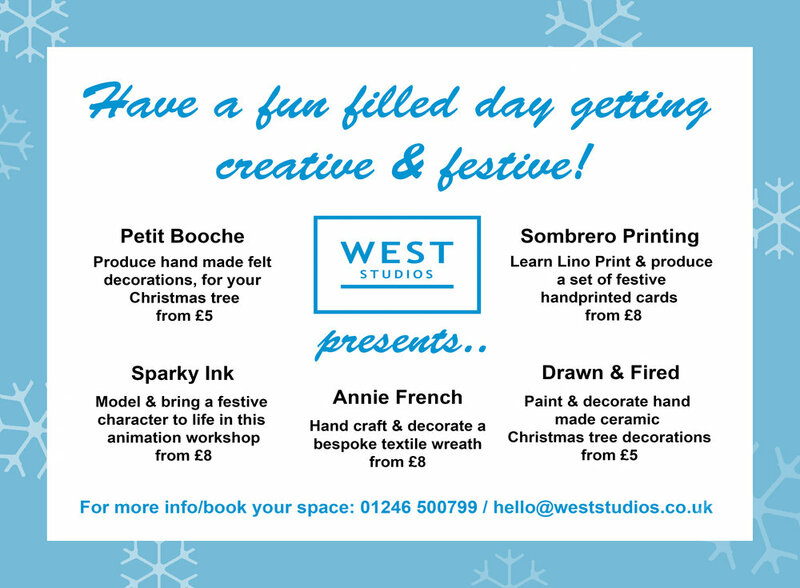 For more information about the types of workshops availabible and to book a space please contact hello@weststudios.co.uk or call us on 01246 500 799.